Lung cancer is one of the main cancer killers worldwide. Despite the increase of biological knowledge, the clinical outcome of patients diagnosed with advanced disease is still disappointing. Indeed, the survival rate falls dramatically from early- to advanced-stage cancer. Diagnostic procedures are at times inconclusive owing to problematic tumor tissue accessibility and poor performance status of some patients. 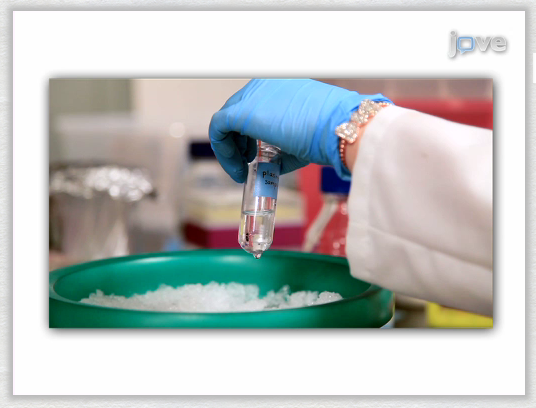 Liquid biopsy is a minimally invasive test that can detect circulating tumor cells and tumor-derived nucleic acids (e.g., cell-free DNA and miRNAs) in the blood of cancer patients. 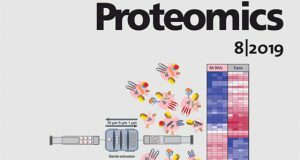 Recently, this definition has also been extended to the evaluation of microvesicles and tumor-educated platelets as alternative sources of tumor-derived genetic material. 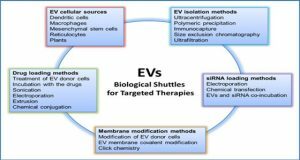 In particular, the early identification of extracellular vesicles (EVs), named exosomes, has a great potential in cancer diagnosis and for monitoring treatment efficacy. 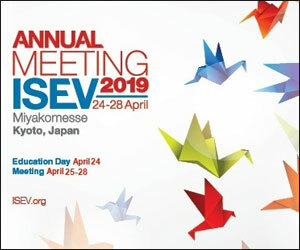 Exosomes are EVs of endocytic origin containing various molecules, such as nucleic acids (DNA, mRNA, microRNA and other small RNAs), lipids and proteins. 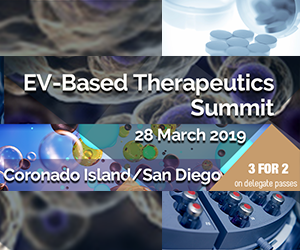 Increasing evidence has shown that exosomes can transfer DNA, RNA and protein from one cell to another, playing a key part in a multitude of physiological and/or pathological processes including cancer. 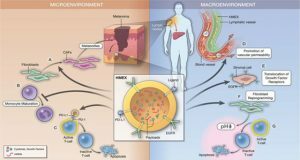 The molecules transferred by exosomes are protected from degradation by bilayered lipids, and pure tumor-derived exosomes can be found in all body fluids. 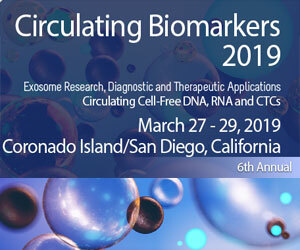 These peculiar features make the exosomes ideal biomarkers for clinical applications and open new perspectives in the nanomedicine field as therapeutic drug carriers. 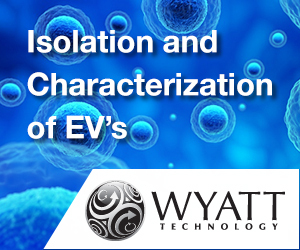 (a) Body fluids as a potential source for extracellular vesicle isolation. 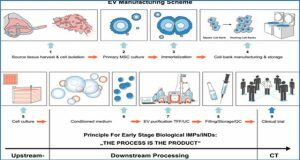 (b) Biogenesis of the main extracellular vesicles: microvesicles, apoptotic bodies and exosomes. Microvesicles are released by a direct outward budding of the plasma membrane and apoptotic bodies are formed by outward bleb and fragmentation of the apoptotic cell membrane. 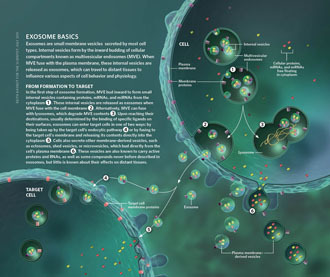 Exosomes are generated by an endocytic process as follows: (1) cell membrane internalization producing an early endosome (EE); (2) incorporation of protein to early endosome inner side with maturation to late endosome (LE); (3) inward budding process of the endosome membrane forming intraluminal vesicles (ILVs) trapped inside multivesicular body (MVB); (4) fusion of MVB with cell membrane and release of ILVs (known as exosomes) into the extracellular space. 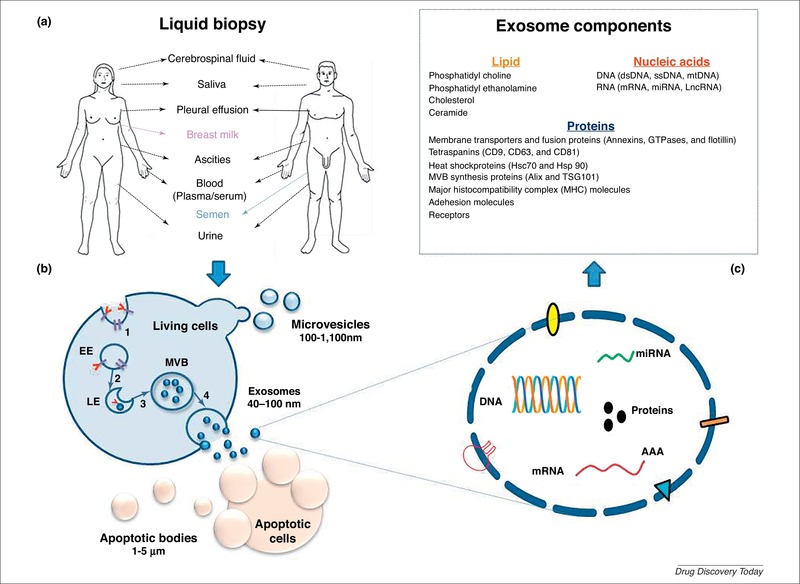 (c) Structure and composition of exosomes. 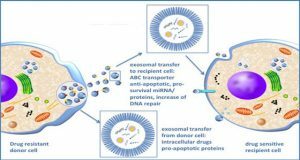 Exosomes are bilayered lipid membranes containing proteins and genetic materials. The genetic materials include: single-stranded DNA (ssDNA), double-stranded DNA (dsDNA), mitochondrial DNA (mtDNA), mRNA, miRNA and long noncoding RNA (LncRNA) which are all functionally active.